An unnamed Chinese club have been reportedly in negotiations with Manchester United over signing Marouane Fellaini. The 31-year-old midfielder has been at Old Trafford since the summer of 2013 after his former Everton boss David Moyes signed him for £27.5m on deadline day. Fellaini has been an ever-present figure in the United squad under Moyes, Louis van Gaal and Jose Mourinho. The Belgium international has only managed 31 minutes of action under interim coach Ole Gunner Solskjaer since replaced Mourinho on December 18. 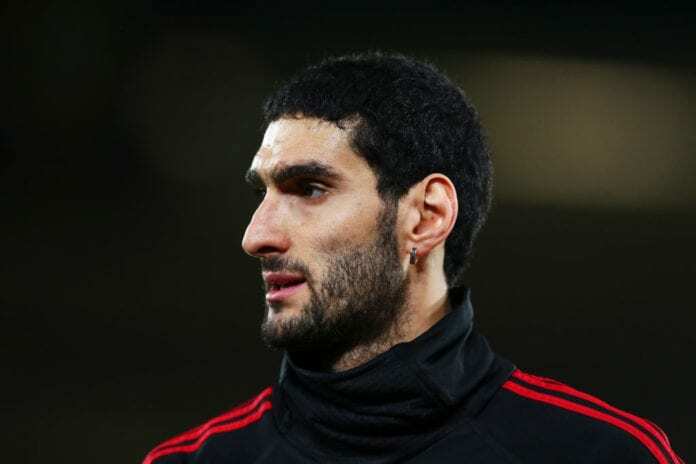 This is due to a calf injury Fellaini sustained in training with Solskjaer revealing on January 18 that the midfielder will likely be out for a “few weeks”. But Sky Sports reports that Fellaini’s time at United may be coming to a quicker an anticipated end after an approach from an unnamed Chinese club. Apparently, United and this club are locked in negotiations right now over Fellaini’s transfer to the Far East. This comes as a big surprise given that he only signed a new two-year deal last summer after allowing his original contract to run out at the end of last season. 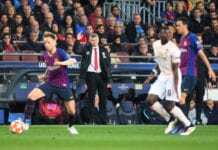 Despite the English transfer window closing on Thursday, neither United or this unnamed club will be in a hurry to conclude a deal with the Chinese Super League deadline set until February 28. 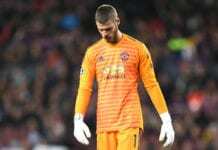 Speaking in a press conference on Monday, Solskjaer had suggested that there would be no departures from Old Trafford come Thursday. “At the moment, I can see everyone staying at the club because no deal has been done with anyone I think, but then again there is still a few more days,” said Solskjaer. Fellaini has managed 22 goals and 12 assists in 177 appearances for United across all competitions. The Belgian has won the FA Cup, EFL Cup, Europa League and Community Shield in his five and a half years at the Red Devils. Should a move to China go ahead, Fellaini will join his Belgium team-mate Mousa Dembele after he left Tottenham for Guangzhou R&F earlier this month.